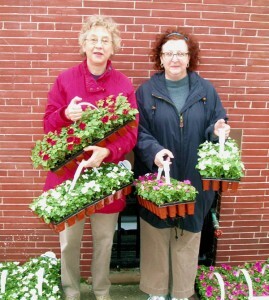 The Lefferts Manor Association Plants flower barrels in front of homes every May. This year’s planting is tentatively set for Saturday, May 2nd–something nice to contemplate in the dead of winter! LMA volunteers once again distributed hundreds of holiday wreaths on December 6th to members who had paid their dues in 2008. Many thanks to LMA Board member Mary Miller, who coordinated this effort. The easiest way to make sure you receive your wreath in 2009 is to pay your ’09 dues now.